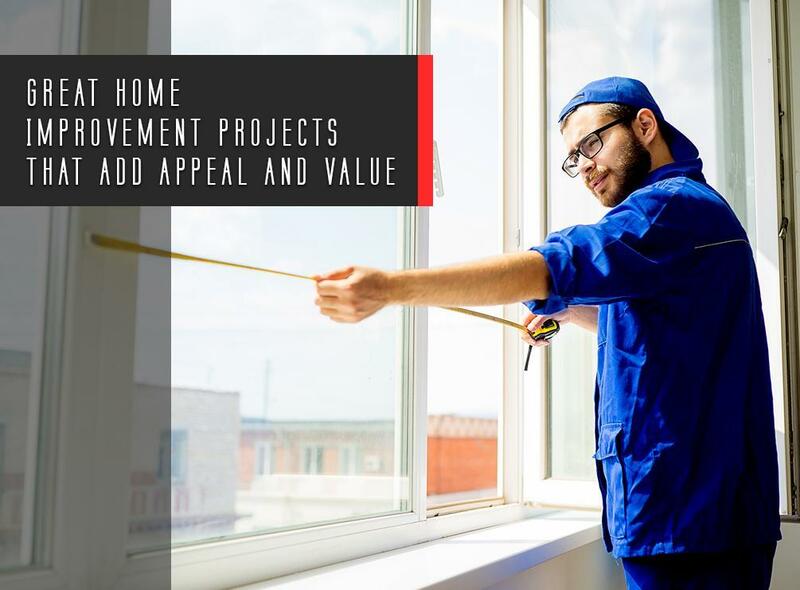 The right home improvement projects can greatly enhance your home’s overall value and its aesthetics. Krier’s Construction, one of the leading home builders and home improvement companies in our area, can help you. We provide a wide range of services for our customers including replacing windows, doors, roofs, and siding, along with remodeling basements, kitchens, and bathrooms. Today, we’ll discuss a few of our services. According to the Remodeling 2017 Cost vs. Value Report (www.costvsvalue.com), a kitchen or bathroom remodel can recoup up to 72% and 57% of their initial costs, respectively. Remodeling two of the busiest and most important areas of your home can add much value. A kitchen or bathroom remodel can also greatly improve your home’s beauty and design, new lighting, furnishings, and materials can elevate your current bathroom or kitchen, making it more functional and beautiful. Your windows are some of the most important design elements in your home because they affect the beauty of both the exterior and interior. If your windows are decades old and drafty, then you might need replacement windows. According to the Cost vs. Value report, a window replacement can recoup up to 62.5% of the project’s initial cost. In addition, new energy-efficient windows can end up paying for themselves over time because of their utility savings. Your entry door is one of the first things a visitor sees, so it’s important that you make the best impression possible. A door replacement can make your home more appealing while improving its security and energy efficiency. According to the Cost vs. Value report, a steel entry door replacement can recoup up 77.4% of the project’s cost. Plus, Krier’s Construction has partnered with Therma-Tru® to provide you with the best doors possible. They manufacture a variety of beautiful and durable steel entry doors. You can rely on us for window replacement, door replacement, or bathroom remodeling project. Krier’s Construction has decades of experience making our customers’ dream homes come true. We serve many areas in WI including Appleton, Fond du Lac, and Neenah. Call us at (920) 328-0747 to learn more about our services and products. You can also request a free estimate.